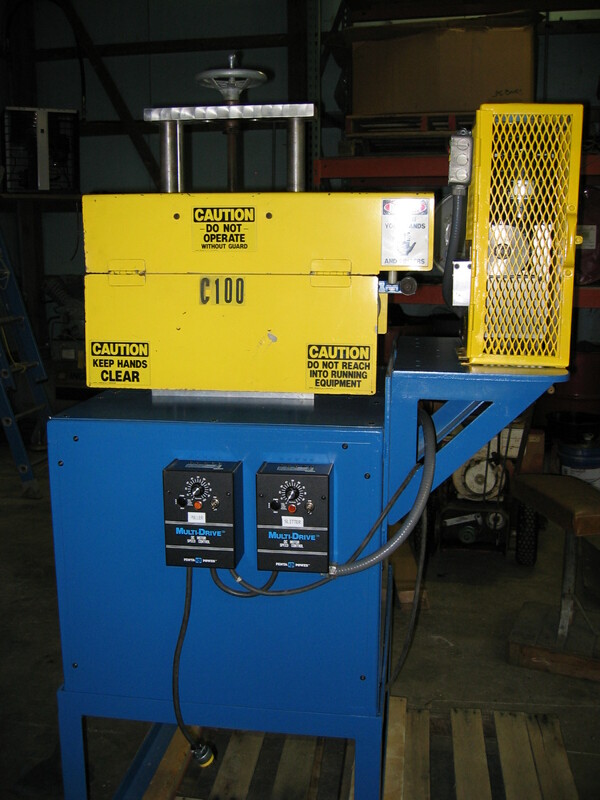 Vertical Corrugator - Used: Machine is in operable condition complete with one set of 4" mold-blocks, 108 pair 3" long. Main drive is a 7.5 HP DC variable speed motor - two blowers for mold cooling. 4" single wall die head complete No extruder, cooling bath or other downstream equipment comes with it. Equipment History, Machine was bought new in 1981 from Corma and ran in the upper Midwest at same location. 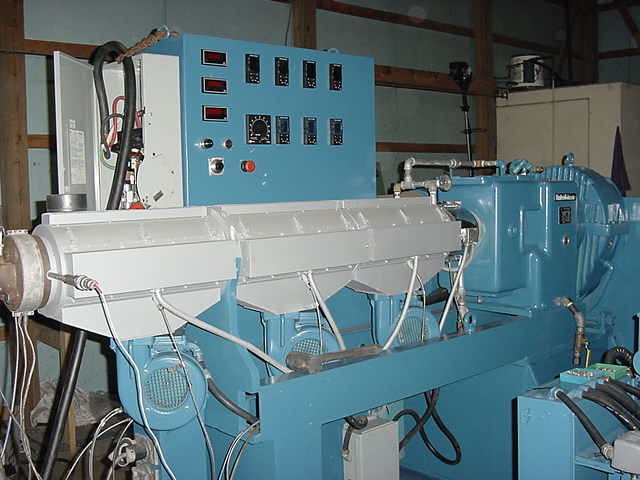 Machine was producing pipe until Oct. 2004 at which time it was taken out of service to make room for new equipment. Machine was outfitted with 4 new carrier chains in the fall of 2003. Equipment is sold in as is condition no guarantees or warranties are given implied or otherwise. customer wants to get rid of it! 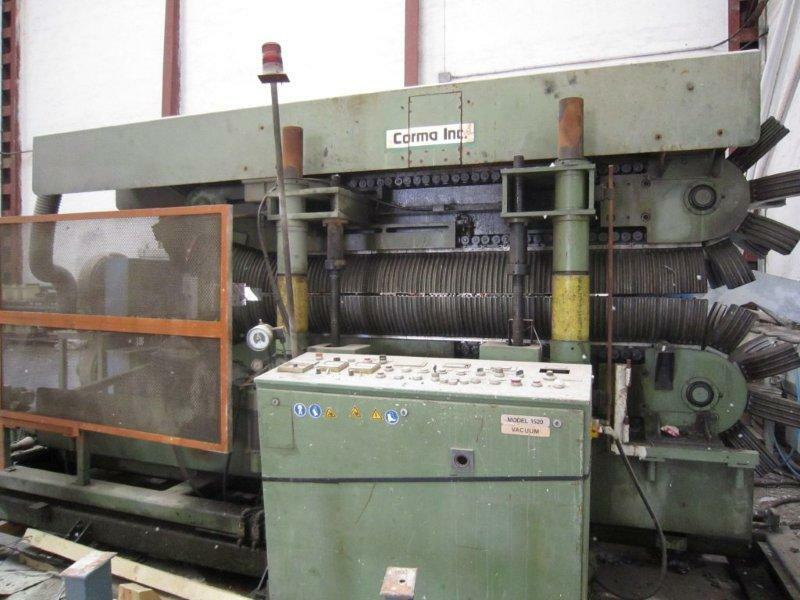 Corma 120 HS 1993 Corma 120HS corrugator fully rebuilt from ground up. All items checked and or replaced to original specs, comes with complete set of carriers. Machine is vacuum ready, 100,000 USD Coming Soon !! 4x20 Belt puller with slitter for automotive tubing. 2 new drives and re-painted. The machine has been rebuilt from ground up. 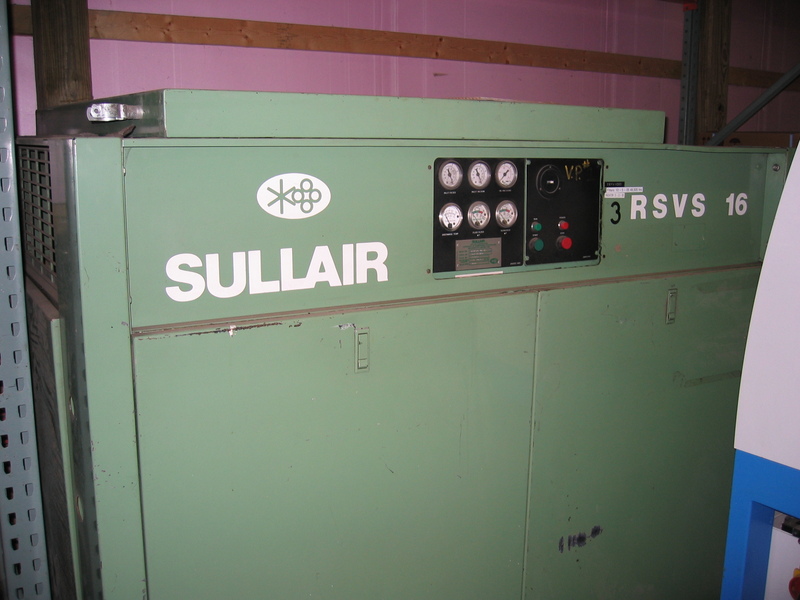 40 HP Sullair Vacuum Checked by Sullair Technicians and ready to go.